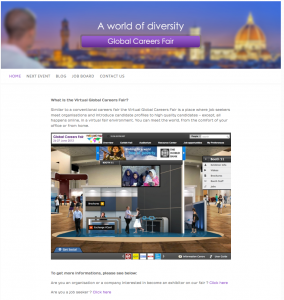 Welcome to a new edition of The Global Careers Fair Newsletter. This week is about numbers. Why numbers? Because we are delighted to announce that we have reached more 7,000 registered candidates – and our audience keeps growing on our social channels. We are also pleased to report that we are continuing to receive support from leading media – this week Monster has became our latest media sponsor. And, to top it all, the European Central Bank has also confirmed their presence at GCF3. Do you want to know what else has been going on? Keep reading…. As you know, we are currently running a campaign to raise money to help people in the aftermath of the disaster in the Philippines. You might have never thought about it, but this is the impact one dollar can make. UNICEF UK has over 100 staff working in the Philippines who have provided more than 18,000 hygiene kits and water kits for 350,000 people. The Red Cross British society has provided 2,000 hygiene kits and 10,000 tarpaulins. Big efforts have been made, but these need to be sustained in order to provide more help and support. Don’t get left behind – make your contribution. Please support our cause by making a small donation on ”https://globalcareersfair.net/global-careers-fair-fundraising/” or just simple share this link with your friends. We could not be any happier to have such a prestigious institution with us! The European Central Bank (ECB) has became the latest organisation to sign up as an exhibitor at the Global Careers Fair. The ECB, based in Frankfurt (Germany), is the central bank for the euro and administers the monetary policy of the Eurozone, which consists of 18 EU member states and is one of the largest currency areas in the world. It is one of the world’s most important central banks and is one of the seven institutions of the European Union listed in the Treaty on European Union. 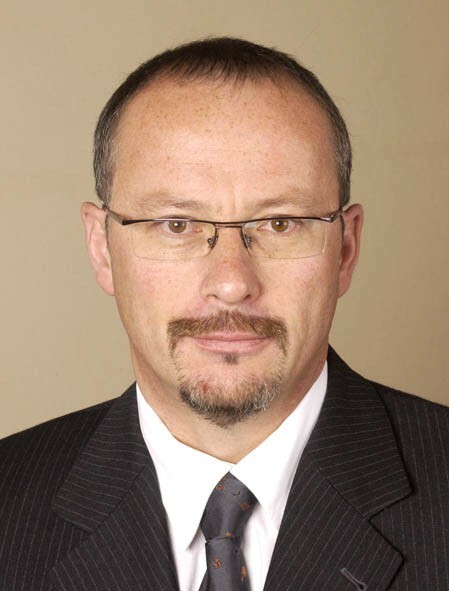 The primary objective of the ECB is to maintain price stability within the Eurozone. Furthermore, the basic tasks are to define and implement the monetary policy for the Eurozone, to conduct foreign exchange operations, and to take care of the foreign reserves of the European System of Central Banks. The ECB works closely with all 18 national central banks in the euro area and together with them forms a group called the Eurosystem. It also has regular contact with all 28 national central banks in the EU in a network called the European System of Central Banks. The ECB is a new institution but they are also ‘young’ in another respect: more than 50% of their staff are between 35 and 45 years of age, and the average age of managers is about 45. With about The ECB has about 1,700 employees from all 28 countries of European Union. The ECB fosters diversity among their staff, and always looks for the most talented, open minded and tolerant candidates. 1. What was your background? What did you do/study before moving into the International Public Sector? “I completed my business studies and spent a brief time in banking but very quickly discovered that it was not my “piece of cake.” I then went travelling and came to realise that I was greatly attracted to discovering the world but at the same time wanted to do something meaningful with a purpose. 2. How did you first get into the International Public Sector? In Switzerland in the late 80’s, the international public sector was not as well known as a place to work as it is now. 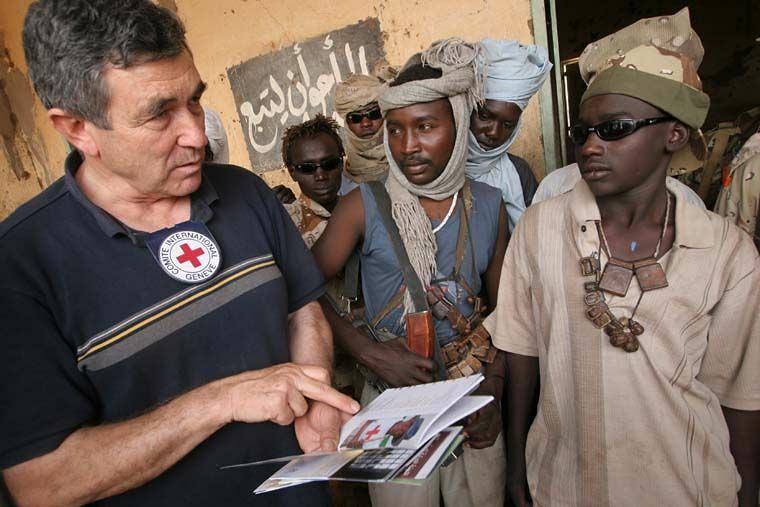 The organization with the highest profile for humanitarian work was the ICRC – there were other opportunities but it was pretty natural at that time for Swiss people who wanted to go into this world to go to the ICRC. I started at the headquarters because at that time I was too young to go into the field (you need to be at least 25). Today, the process for joining the ICRC is very different – 10,000 people apply and there is a challenging selection process which leads to around 300 appointments yearly, spanning the field and headquarters. 3. Was it an accident or design that led you to go to the International Public Sector? Before joining the ICRC, I had an idea to do something meaningful, to have a purpose. This came from my time in Banking where I had found out quite soon that it wasn’t to be my destiny to help others to get richer. At the beginning, I moved to the ICRC without knowing whether or not it would be right for me, but, from my earliest experiences, I was very quickly hooked. I didn’t want to change – and that it still true today. I have never wanted to leave. 4. What single fact would surprise people the most about you? I spent 20 years in the field in Former Yugoslavia, the Caucasus, Burundi, Iraq, Rwanda, Angola , Gaza, etc. – these experiences shaped my personality and opened my mind. They allowed me to know myself better and made me solid and more modest, positive and straightforward. This is what we are looking for in the people we recruit – the ability to face difficult situations and be able to cope with them. This is how I see myself and how I think the ICRC has shaped me to quite some extent. In other words, we don’t need people who want to be like Rambo (one extreme) or Mother Theresa (example of the other extreme)! We don’t need those who want to save the world! 5. What drives you in the morning? I have been at HQ for nearly 2 years – in some ways, it is not as easy as when you are in the field. However, even if you are working at the HQ and far away from the front-line operations, I still have the feeling of being a part of the overall vision, that we can make a contribution. Being in contact with both the recruitment and the international assignment functions makes up for the frustration of no longer being there myself, close to victims of armed conflict. That’s also why I wanted to join HR coming back from the field because I knew I would be close to the people who go and come back and to the ones who are experiencing the same things that I did. In my view, it always comes down to the notion of purpose – to have the conviction that you are a part of the whole chain. 6. What are your proudest achievements with your organisation? I have three examples: When I was in conflict situations, I often had to negotiate passage across checkpoints manned by soldiers from either the regular army or from the opposition. For example, negotiating passage into enemy territory to provide medical equipment to the people there could be a tough thing, but when we managed to assist the people on the side, you felt that there are still ways, still people who understand that even in conflict there is need for rules and laws. This is very rewarding. Something that I remember from one of my last missions was completing a long and tough negotiation with a minister so that detainees could receive family visits and legal counsel; it was to make sure that their basic rights would be respected. Such negotiations are not an easy task to tackle particularly in the middle of an internal conflict. For a minister it would have been easier to pander to popular support by being seen as remaining tough within his own country. Today, the Global Careers Fair is glad to introduce the 4 media partners sponsoring the Global Careers Fair on the 10&11 February 2014: the Financial Times, Jeune Afrique, Eurojobsites, the Japan Times and more coming… As promoters of this virtual event, they are looking for international talent and publishing job opportunities on the GCF’s job board. When you participate in the Fair, you will have an opportunity to meet their teams on the booth. Representatives will be connected to guide you and answer all your questions. You will be able to exchange and share information . Now, let’s focus on our French sponsor Jeune Afrique, partner of the GCF for the past 2 years. Jeune Afrique is a French weekly news magazine published in Paris and founded in Tunis. It covers the political, economic and cultural spheres of Africa, with a special focus on Francophone Africa. Supporting the African continent, Jeune Afrique prioritises its commitment to international development and its desire to find candidates with similar aspirations. This week’s active community member is Alessia Di Grigoli My name is Alessia Di Grigoli and I’m 27 years old. I have a Bachelor’s degree in Social Science and I have a Master’s degree in International and Diplomatic Sciences. During my college career, I regularly participated in courses, programs (like ERASMUS), traineeships (in different associations) and summer school to further develop my skills and to gain insight into my professional work and practice, with a view to improvement. Each day I come to my voluntary work (European Voluntary Service project) as a learner: I am constantly seeking out new methods and ways of functioning to improve efficiency and effectiveness. I actively seek out opportunities to formalize my professional activity. I have worked as an assistant at the University for a year and now I am looking for a job. I am a dynamic and sociable person with excellent skills. I am young and with a great desire for knowledge and learning.